Tracy's transformation started after a decade of being overweight and inactive. Although naturally athletic most of her life, she succumbed to the pitfalls of convenient foods and a busy lifestyle and at 40 years old realized she wasn't getting any younger or getting any healthier. Finally taking full responsibility for her situation she started by cooking and preparing everything that she ate herself. No more eating out! 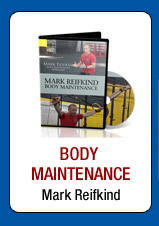 Her exercise program consisted of walking 6 days a week to establish a base level of movement. Realizing she also needed resistance training, after three months of walking Tracy also started swinging the kettlebell for two short sessions per week and that's when the real transformation began! 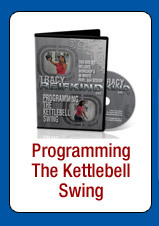 Tracy credits kettlebell training with the incredible muscular development and tone she now has. Looking at her now, one would never guess that she once weighed over 250 pounds! She now maintains her weight consistently between 128 and 130 pounds (size 6) and her body fat measures around 17-18%. The real surprise to her was not that kettlebell training helped her lose so much weight but what it did to her muscularity and definition. Realizing the unique properties of kettlebell swing training she became RKC certified in April 2006, to teach, share, motivate and inspire others that they too can experience their own transformation. Tracy has developed her own unique style of kettlebell training (the Swing's the thing!) and continues to see improvement not only in her appearance but in her athletic ability. Tracy is available for one on one training, telephone consultations for kb training design or diet coaching. 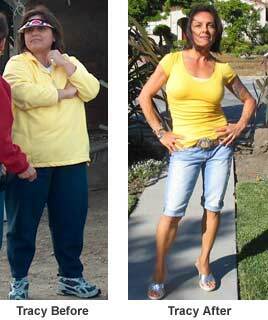 Read an article on Tracy's transformation featured in the Vitalics magazine — (PDF file: 600 KB).